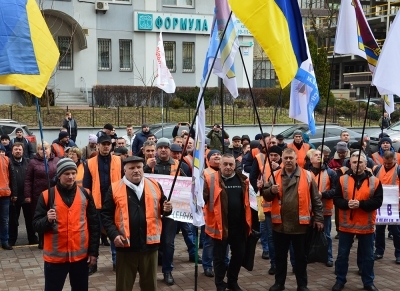 On 19th March members of the Free Trade Union of Railway workers of Ukraine (VPZU) picketed the central office of the PJSC “Ukrzaliznytsia” (Ukrainian railways). The VPZU demanded to raise wages, improve medical services, restore social and pension guarantees, and do not cut jobs. Also, trade unionists required efficient social dialogue. After the protest action, the negotiation between trade union representatives and management have been launched. “Of course, our main requirement is to raise wages for railway workers urgently and to balance the difference in wages of the executives and employees. Now some managers get 100-150 times more than ordinary workers and employees. Even in Europe, such a wage gap is much lower. We want justice for our workers” – claimed Volodymyr Kozelskyi, chairman of the Free Trade Union of Railway workers of Ukraine. The Chairperson of the VPZU claimed that the average wage at the PJSC “Ukrzaliznytsia” is UAH 10 000 (USD 367). 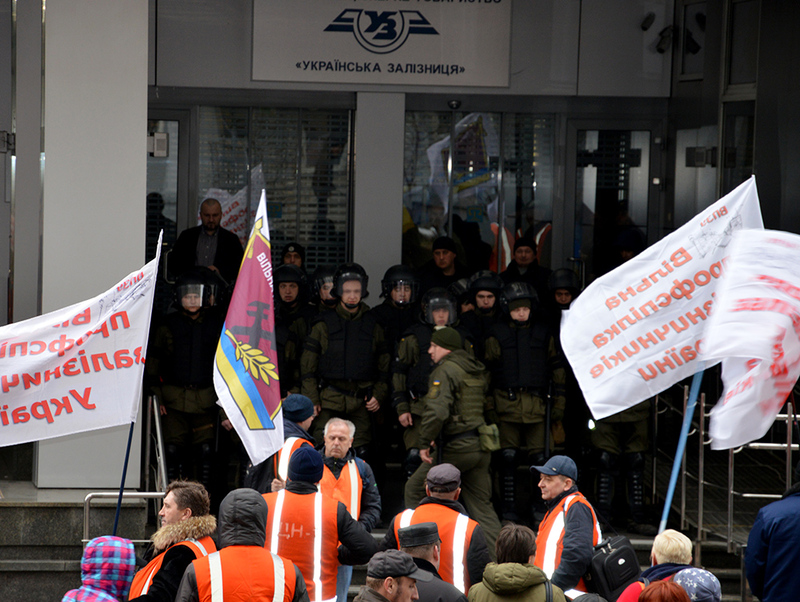 The representatives of the “Ukrzaliznytsia” came to protesters. They invited representatives of the VPZU to the negotiations in the office. During this meeting was agreed to continuing negotiations. On March 20, the VPZU’s requirements were discussed at a meeting of the Parliament Committee on Transport. Volodymyr Kozelskyi informed that on 21 of March the regular negotiations between representatives of three trade unions and management of the PJSC Ukrzaliznytsia was held. “It was agreed that at the next round of negotiations will be on March 26 and we will discuss the financial capacity of the enterprise and concrete percentages of raising salaries for workers. At the same time, we agreed that the wages of managers of Ukrzaliznytsia at different levels won’t be raised, because they are high enough”, – said Volodymyr Kozelskyi.